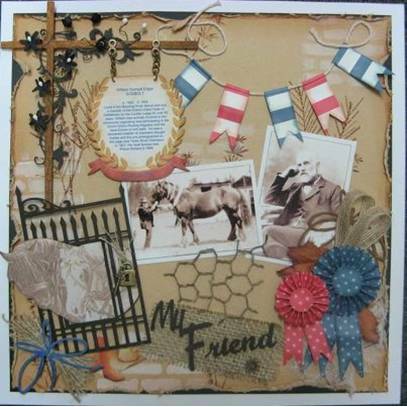 Diana has used the kit supplied, & given it a Vintage twist. who was a successful Horse Breeder. Diana wrote about this gentleman. For her efforts Diana wins a $25 Gift Voucher. Congratulations Diana :) Wonderful page!